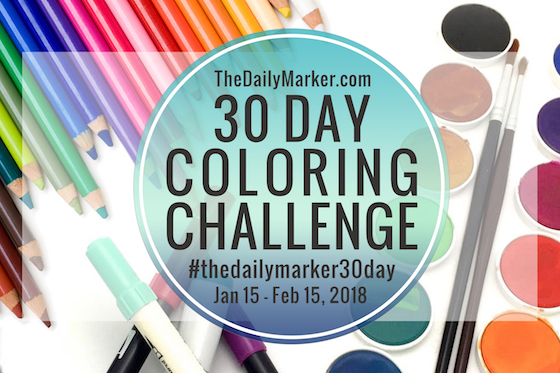 Back again with another card for the 30 Coloring Challenge with Kathy Racoosin. 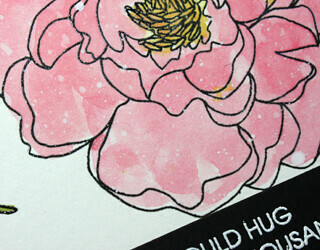 Today I coloured the Essentials by Ellen Mondo Peony, one of my favourites. I first stamped the image with VersaFine OnyxBlack and then clear heat embossed it. The images were then coloured with a variety of Distress Oxide Inks. Once dry I splattered the panel with Copic Opaque White that was watered down then flicked on to the panel with a paintbrush. I added the black white embossed sentiment with foam tape and then the whole panel was backed with fun foam and adhered. 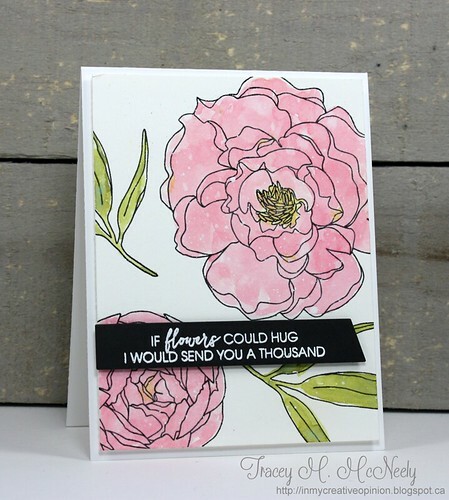 Super pretty Tracey...love that pink bloom.